Some blogger's like to live in quiet anonymity. Other's like to think that they're local celebrities and stick subtle stickers on the back of the family van hawking their website. I'm married to one of these two types. You can guess which. The front of our suburban home is fairly low key. Maybe that's why it needs a little sprucing up. Enter the front door decor. 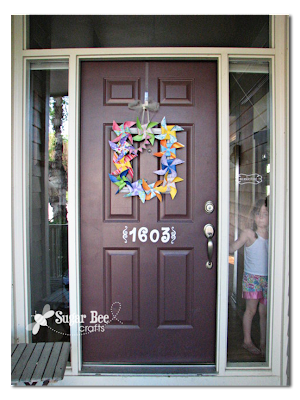 For some reason, each holiday requires new door candy. Wreaths. Paper pin-wheels glued to frames. Large bows. All very non-practical accessories intending to say to the world "within these walls dwells a crafty soul." I'm really not into the front door decor. I'm more of the practical type and don't see the function that the decor is playing. Now, I'm OK with the house number stickers on the door - they may be a little cutesy for my taste, but at least the ambulance will know where to stop when one of our kids dials 911 by mistake. Pinwheels, on the other hand, are not so practical. Put them on a stick with a spinner so that they'll move in the wind and I'm in. I've seen a few people claim the 4th decorations are up for the Olympics..it's a great excuse..lol. Love your humour!!! Signing up to follow... maybe I'll get some insight into a different perspective!!! love the olympics excuse!!! great! Im with you.. 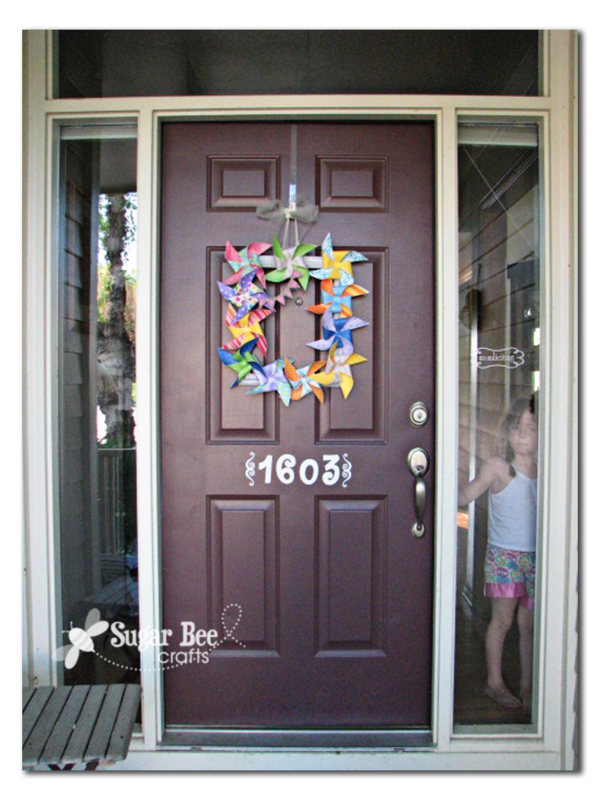 I have two door decorations a metal rabbit from about April through September, a wooden Skeleton for October and a star wreath for the rest of the year. I don't do other holidays and half the time the star stays up all year. I wouldn't know where to store it all. Oh excellent! Now I can explain to my husband why our 4th of July wreath is still up. 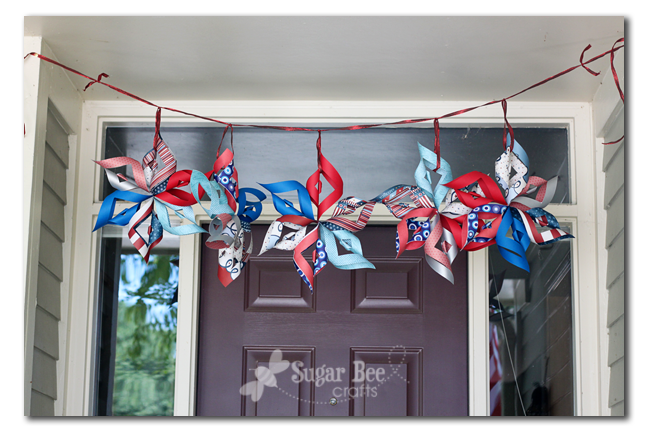 Truth is I just haven't finished my pinwheels for this month's wreath! Just kidding. It's fabric flowers that I have to finish. 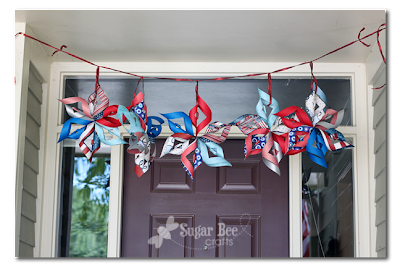 My 4th of July pennants are still up for the same reason! Lol, the fact that you use the term "door candy" says to me she's quietly dragging you to the darkside.